Holistic Healers, please use the same name and email address as your Holistic Healer account so that we can allocate your commissions and other benefits. Please include the email address associated with your PayPal account in the Payment Email field so that we can deposit your cash referral payments into your account each month. We review all applications within 5 business days. Once your application is approved, we will send you setup instructions as well as login access to your personalized Affiliate Dashboard. 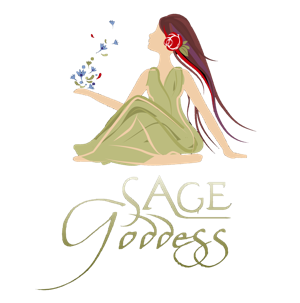 Share Sage Goddess products, memberships, images and posts on social media (like Facebook, Twitter, Pinterest or Instagram), or even on your blog, newsletter or website. Your cash back will automatically be deposited into your PayPal account each month. You can use your personalized Sage Goddess Affiliate Dashboard on the Sage Goddess website to retrieve your own personalized referral links, track your performance, view earnings, find creative/product promotions and more! It also gives Advisors access to the Sage Goddess Vault of educational videos, advanced sales tools, memes, guided meditations, and ongoing product training, including DIY recipes and collateral only accessible to this membership.